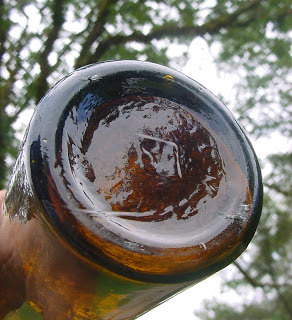 Now here’s a bottle that has always intrigued me. Just the name alone is strange, CONNELL’S BRAHMINICAL MOONPLANT EAST INDIAN REMEDIES, and the embossing with a pair of feet with stars surrounding them about takes the cake as far as interesting and quirky embossing goes in my book. 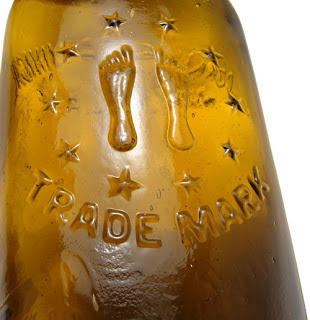 And how about the lettering font on this bottle! The R in “BRAHMINICAL” is your basic straight leg R, however, the R in “REMEDIES” and “TRADEMARK” are the curved leg R associated with western glass houses. Could be the mold for this bottle was reworked and the “EAST INDIAN REMEDIES” and “TRADEMARK” added at a later date however I do not have any concrete proof that this was the case. 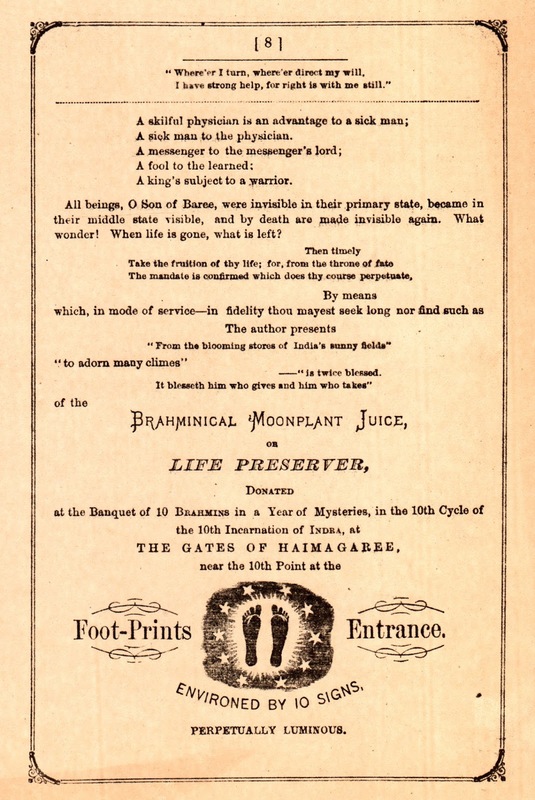 Was this a bitters, well it certainly was supposed to cure the same ailments as bitters, The definition of BRAHMINICAL is: A member of a cultural and social elite, especially of that formed by descendants of old New England families. Hmm... Trying to find the definition of MOONPLANT led me to moonbeam (nickname for California's governor ) and moonflower which is defined as: Any of several unrelated vines which bloom at night. Even the name of this product has me baffled; was it an extract of some sort of climbing vine that was intended to be used by wealthy Boston socialites in the moonlight? 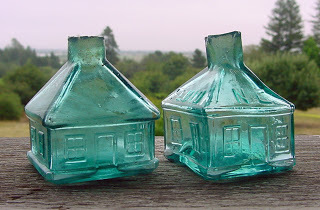 I have heard that there are two variants of this bottle, one an eastern made product and the other western manufactured. What’s the difference? 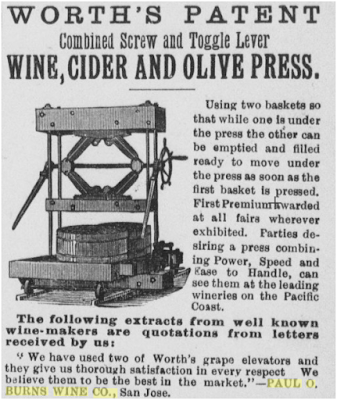 The earliest and one of the only advertisements that I could find for the Moonplant was listed in the May 1873 Sacramento Daily Union and was repeated for a week or so, that’s it. Please accept this as an answer to some of the Moonplant questions. I see two questions within this post. 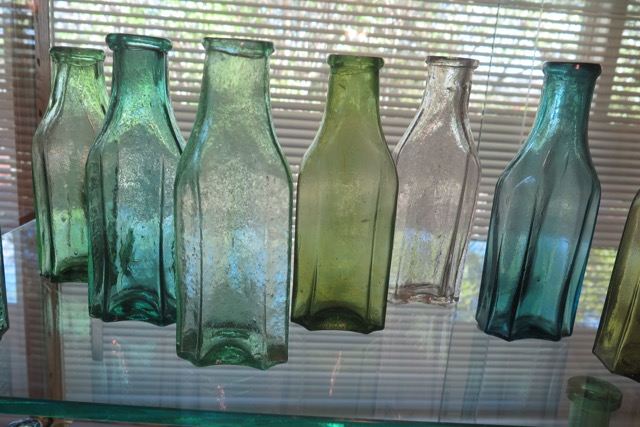 The first is, are there two different variants of the Moonplant bottle. The answer is yes, there are, but not as you might expect. The earliest variant has no signature embossed on the base. It is true that this version was only made in San Francisco, however, Connell's signature was soon added to the base so the later variants made in San Francisco will also have this feature. 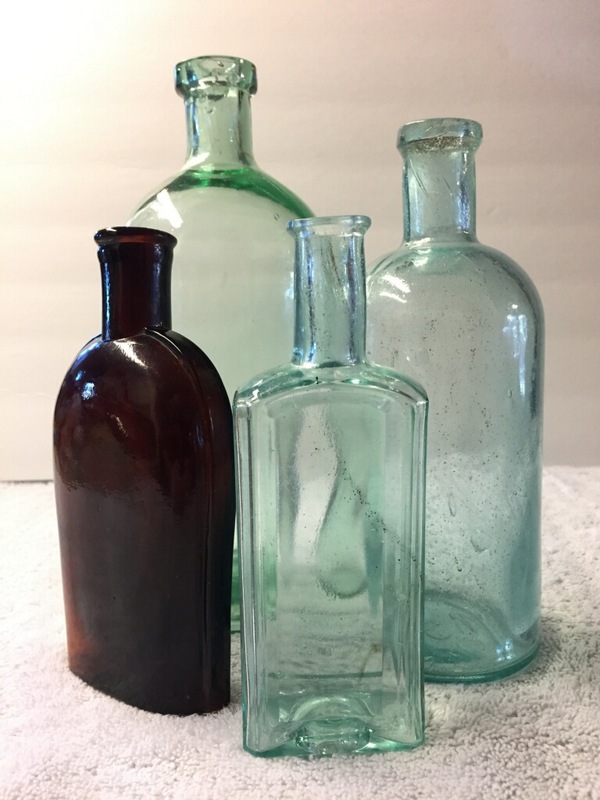 When Connell moved to Boston, by the Spring of 1874, he took the Moonplant bottle mold with him, and the bottles blown there are virtually identical to those made in San Francisco. 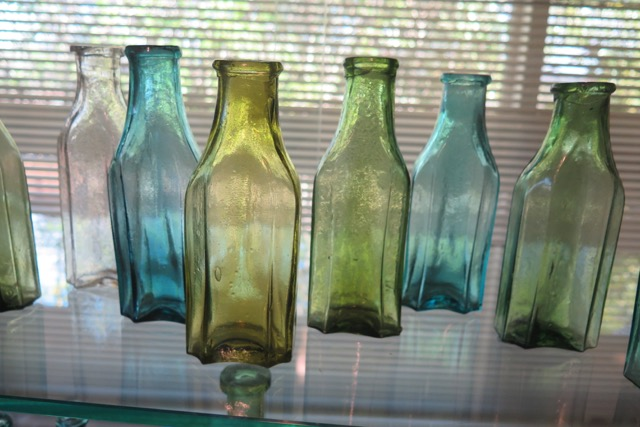 The only difference then became the color of the glass, which is not a rock solid differentiator. It is true that the New England versions I have seen do have a bit more red in the amber color but we all know that each batch of glass can vary somewhat, leaving positive identification out the window. 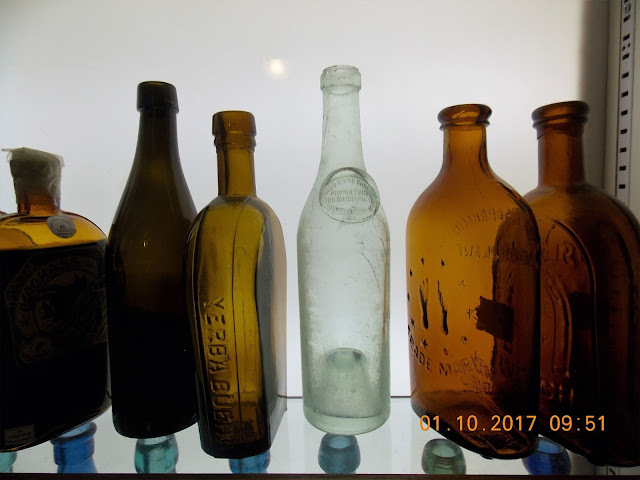 So, only those specimens without the cursive signature on the base can be positively identified as a western made bottle. There are still a good number of olive amber specimens known that were very likely blown in the west and have the magic feel of western glass. The other question is, why the feet? Connell spent an amount of time in the Indian subcontinent. While there he developed his moonplant medicine and also picked up some knowledge of Buddhism. He created sort of a radical mysticism based upon this religion and in his advertising literature Connell used the two feet surrounded by ten stars that he claimed was a symbol found at the entrance of the Gates of Haimagaree. I don't believe this is an actual physical place but part of a Buddhist story. See the advertisement page from his brochure and the use of the two feet. 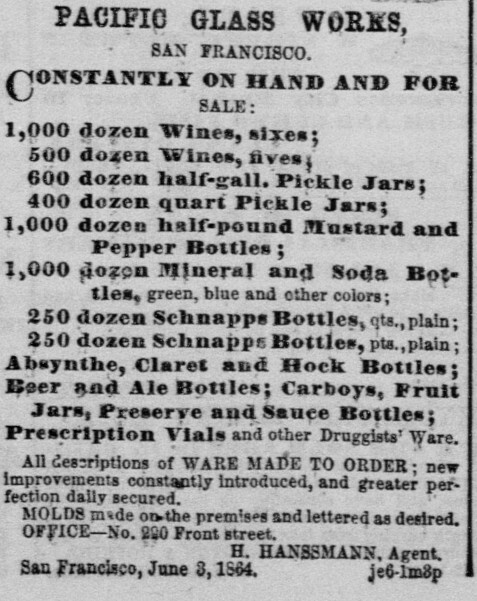 After Connell ended up in a legal battle over a trade mark dispute in Australia, which was centered around the use of an elephant, he decided to move to San Francisco in 1872 where he fully developed his Moonplant medicine. His first agent in San Francisco was the Murphy Bros., which didn't last very long. Most interesting is his second agent, J.F. Snow, who was a cleaner and dyer of gloves and other fine leather goods. After Connell left San Francisco, if you recall, Snow even entered the patent medicine business with his "Victory", which was a hair coloring product. There is lots more on Connell, but this answers just a couple of questions. 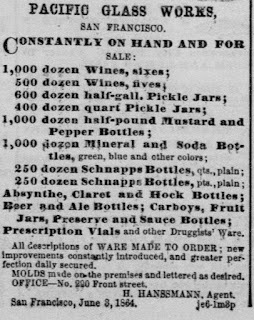 There seems to be a lot of terminology as to bottle types in the early ads. Are these still gin, and champagne? I was looking at some of my western manufactured wines and spices on a rainy day. Brightened this day right up. 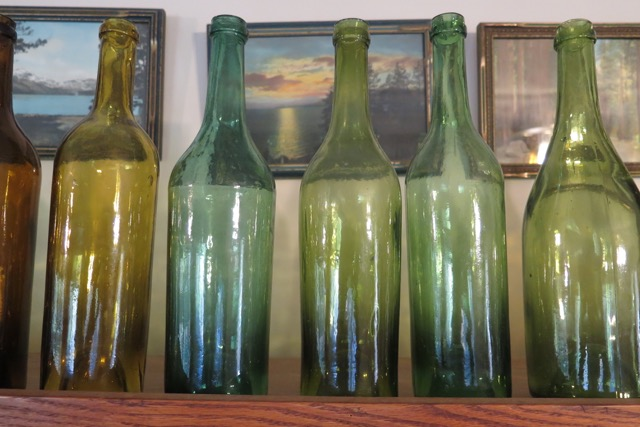 Here’s grouping of some of the Western blown inks we‘ve dug in California over the years, circa 1868-74. The large master is e.r. 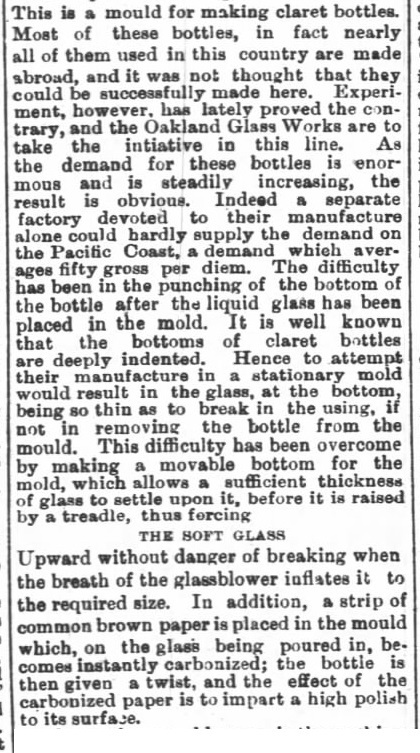 and embossed “PACIFIC GLASS WORKS” on the base. It has an applied top that looks like a Western bitters or 5th with a pinched pour spout. 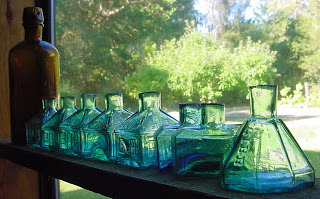 The school house with no panel embossing is the rarest of the aqua Western blown house inks. It has a steeper roof pitch and comes in deep greenish aqua like some of the early S.F. meds. Top and base of pint size Pacific Glass Works master ink. 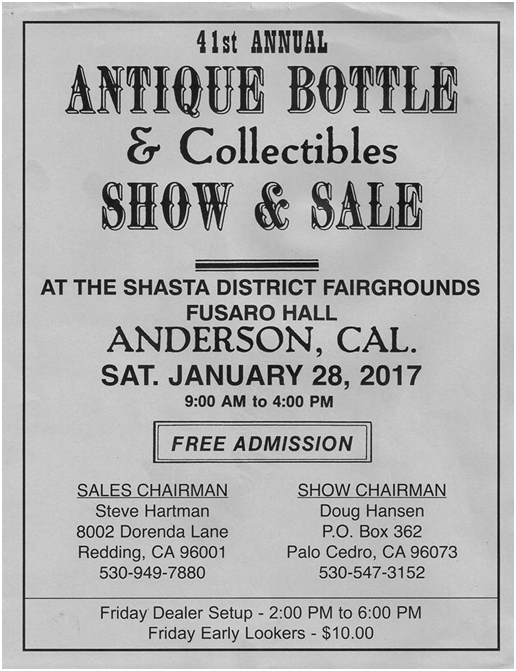 There has been some confusion on the date of the Anderson show and this year's show date is shown above. I wish someone from the Anderson Club would send out some sort of info on their upcoming show dates. 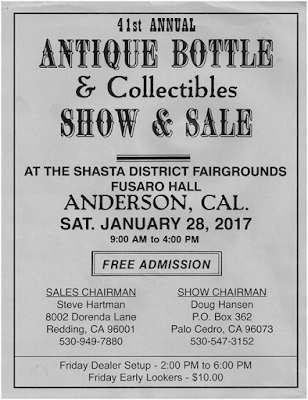 The Western Bitters News, Western Whiskey Gazette, Peachridge Glass and Western Whiskies online sites all advertise upcoming bottle shows at no charge to the advertisers. Also, I finally located the OGW jake. Pictures are attached. 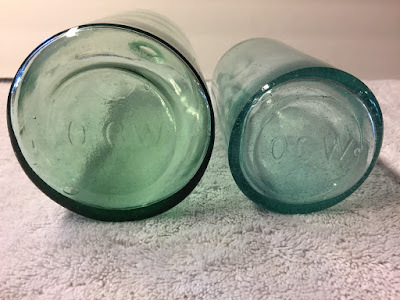 Here are some of the OGW marked bottles I have found over the years. I also have the usual amber square bitters and a jake, but haven't located the box they are hiding in. I'll see if I can enlarge this picture a bit. Thanks Andrew for the pictures..
Dug this claret in San Jose. It is 12 inches tall with an applied top, and a faint mold line around the shoulder. There are diagonal twist marks below the shoulder indicative if a "twist". Is this an OGW? How about them colored wines - minus that one on the left! 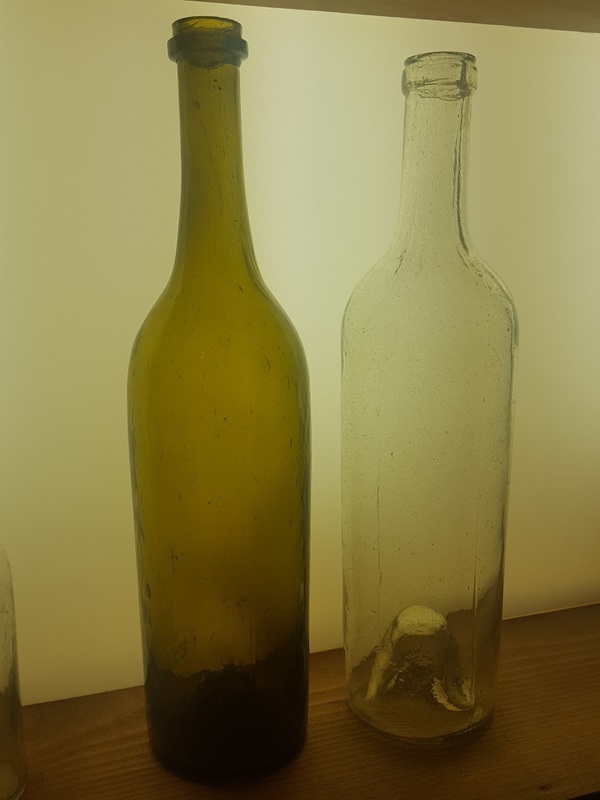 With all the discussion on the OGW wine bottles in the previous post I thought we could take a look at this unusual wine bottle in the Dwyer collection of Forbestown California. Embossed in a applied seal: Paul O Burns Wine Co. Proprietors Yerba Buena Wine Yard San Jose Cal U.S. 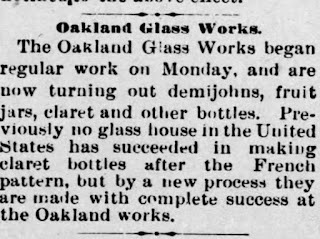 This is the first one of these bottles I have ever seen and if you look on the billhead's date of October 1887 it puts it in the context of the Oakland Glass Works. Now I am not saying this is a OGW bottle but it sure is food for thought. Did you notice on the billhead that Wm. T Coleman was sole agent for Chicago etc. Where have I heard that name before? 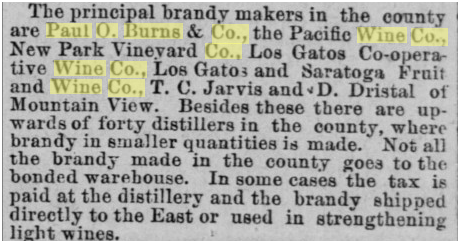 Not only did Burns make brandy but could have been involved in the Yerba Buena Bitters brand. 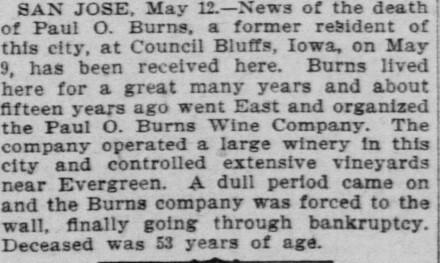 I have not researched if there is a connection between Burns and the manufacture of Yerba Buena Bitters and if anyone has any documentation on this - step forward! 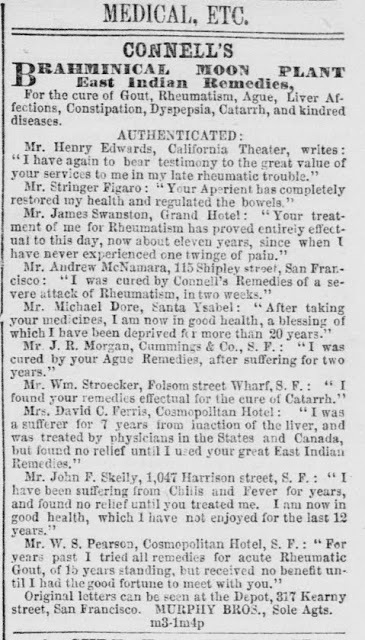 Sometime in 1869 Homer Williams and Alfred Wright who had a medical business would purchase a formula from a San Francisco doctor thought to be Dr. Joseph S. Warren. Eventually Homer Williams would be the sole owner. 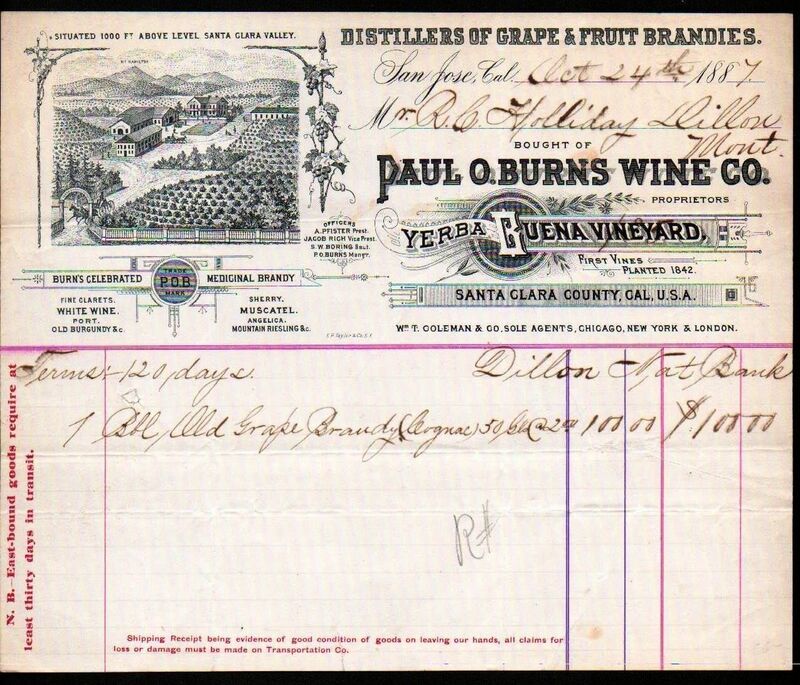 Then around ten years later in 1880 he would retire and sell the rights to Yerba Buena Bitters to the Paul O. Burns Wine Company. This company was from San Jose, California. 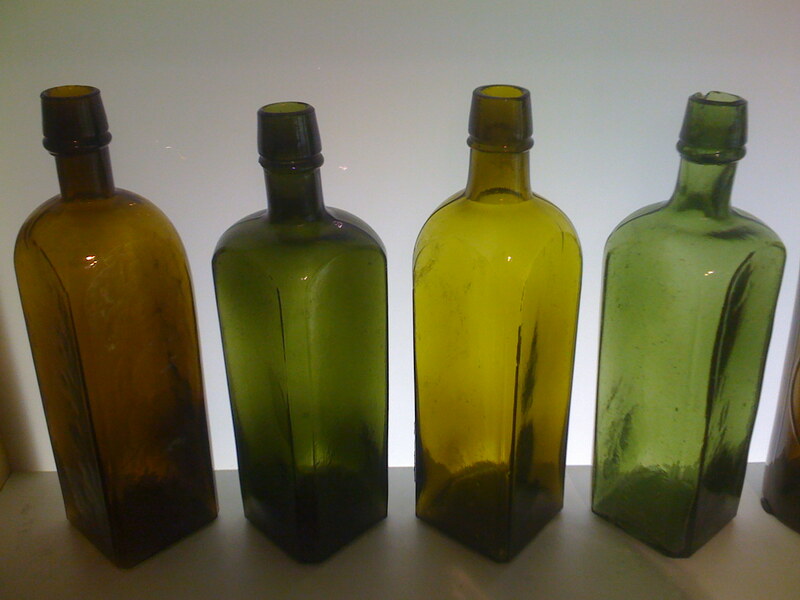 This company would continue to produce the bitters until prohibition ceased the production. 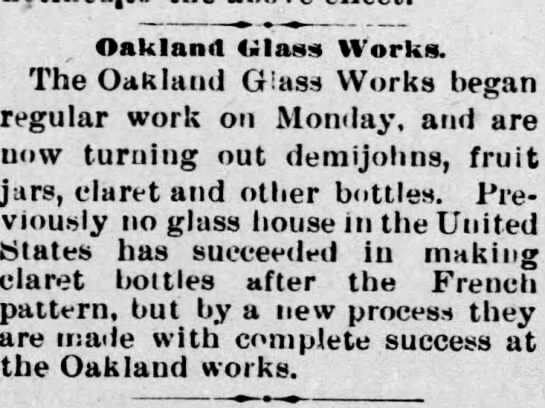 Apparently the Oakland Glass Works was indeed successful at the manufacture of claret bottles. 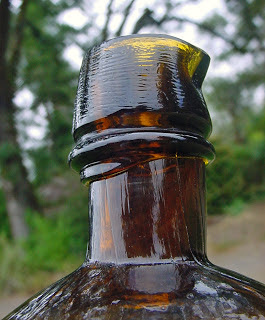 It is interesting to note that the difficulty in manufacturing this type of bottle was actually with the punt. 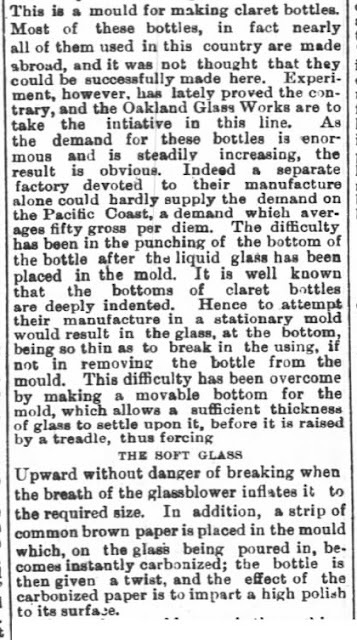 There is much more information available regarding the Oakland Glass Works that has not been published before, but a fellow collector is in the process of putting together a great article with this "new" information and I don't want to steal his thunder so I will just post these two snippets regarding the claret bottles. So who has an OGW claret bottle hiding in their collection ? Thanks for the pictures Rob. So what do you think guys and gals - could theses be the elusive OGW claret's? 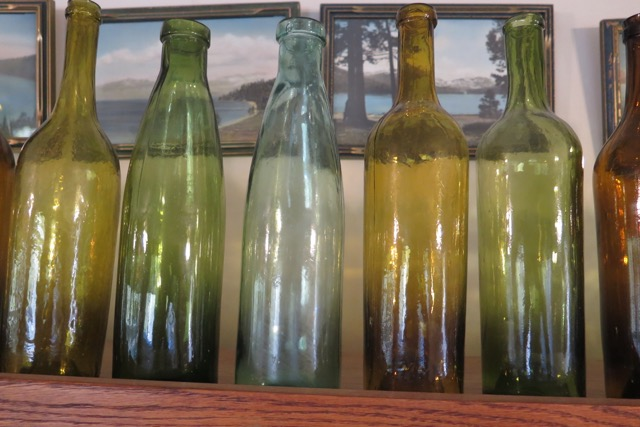 Here is a photo of what I believe to be the oldest and newest western blown wines. The mold on the left is usually found in early 1870s, possibly late 1860s layers, I have seen them next to Wormser flasks and Evan's & O'Briens. The mold on the right seems to be early to mid 1880s and has been found in context with the Henley's IXL variant with the large Bitters and straight R. It is interesting to note that the mold on the right is the exact same as the Henley's Celery, Beef, & Iron tonic bottle which was a product that seems to have came to market in 1883. 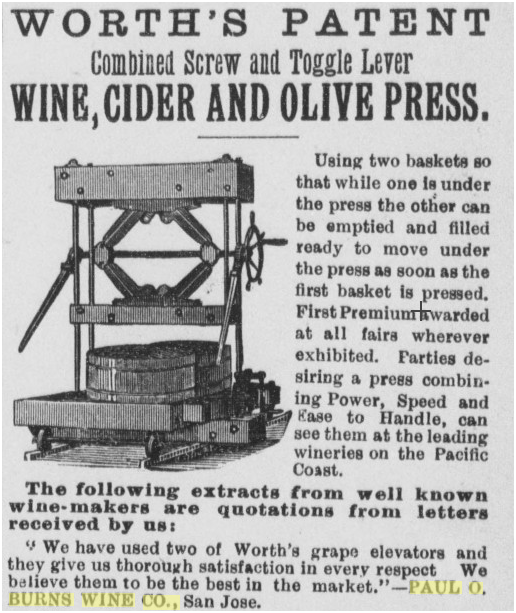 There are at least four other western wine molds that span the 1870s and part of the 1880s. 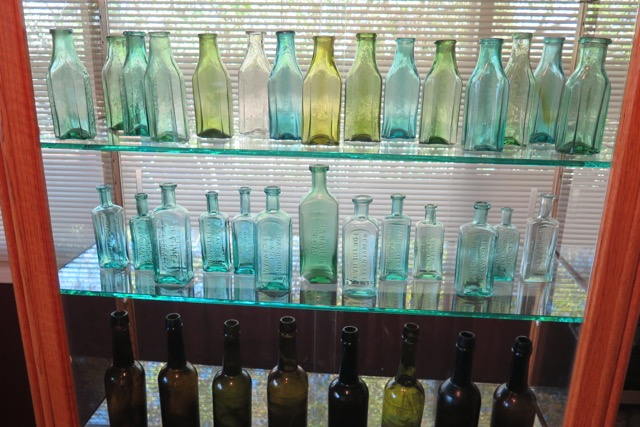 Although many refer to these bottles as wines, I suspect many of them contained syrups, bitters, cordials and any other type of product made on the West Coast.